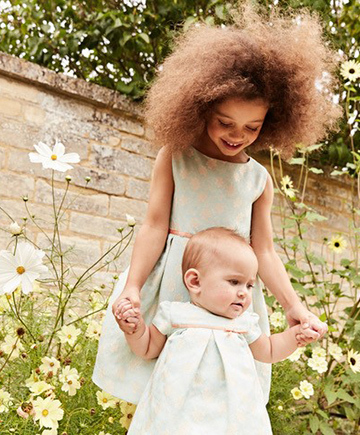 Because your precious little lady needs a precious dress, this season we deliver Bee. In a copper tone with an Autumn leaf motif jacquard, this dress is perfect for the party season. Puff sleeves, bow on the waistline and MC inscribed logo buttons at the back for closing.